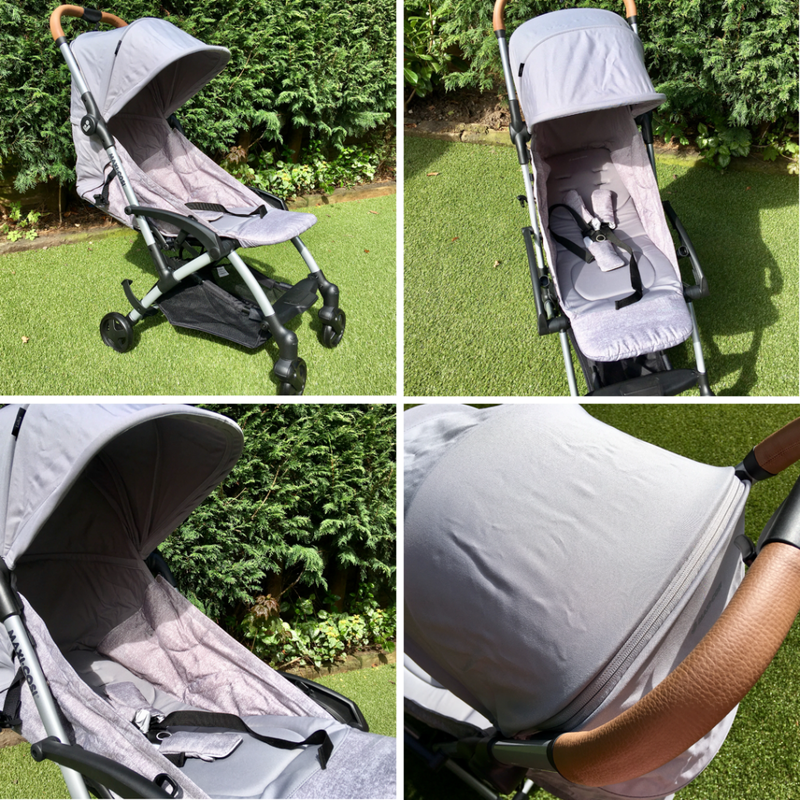 We were sent a Maxi-Cosi Laika pushchair a couple of weeks ago to review*. 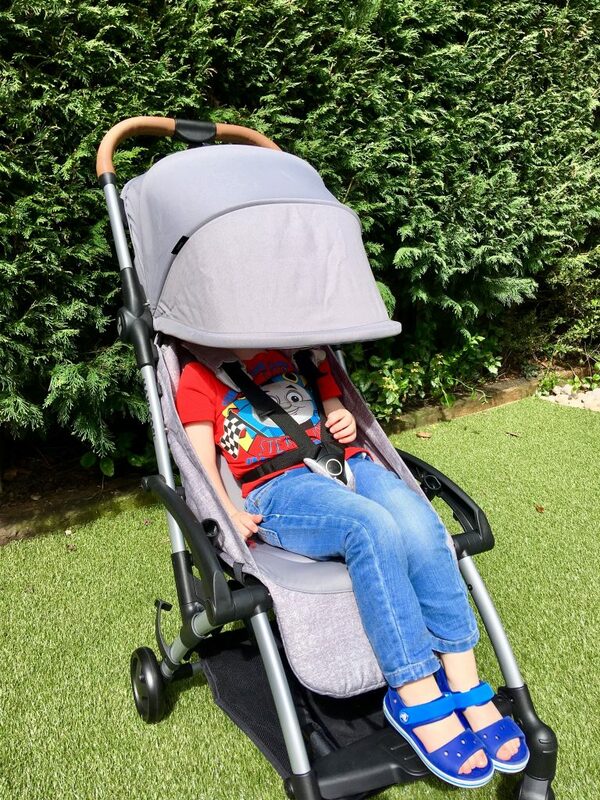 I love it, I honestly wish this was available when we couldn’t go anywhere without the pram. 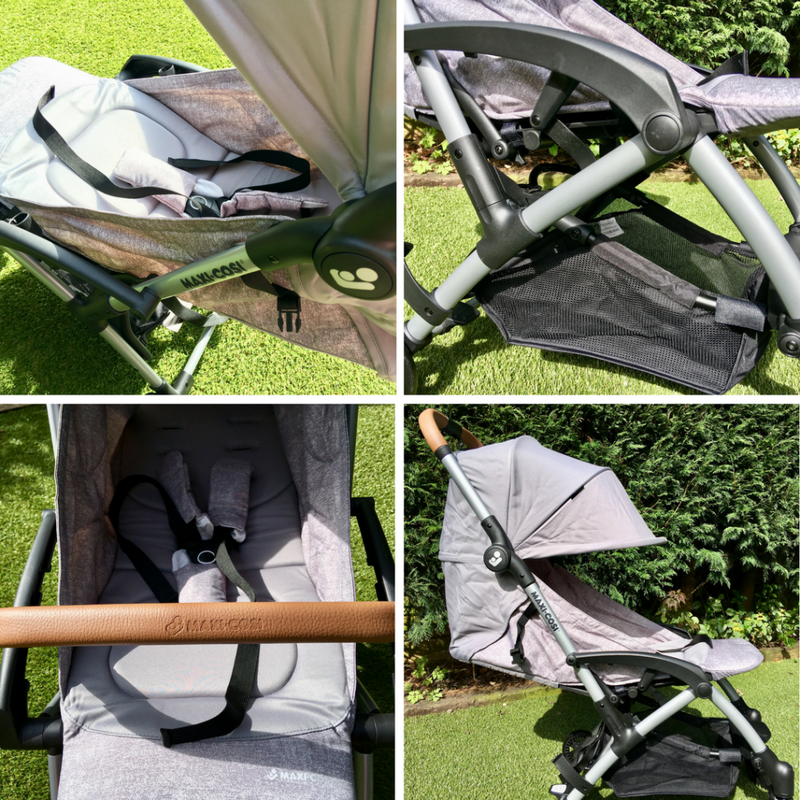 The Laika is relatively new, from Winter 2018 and is an excellent option if you are looking for a full pram system or just a pushchair. 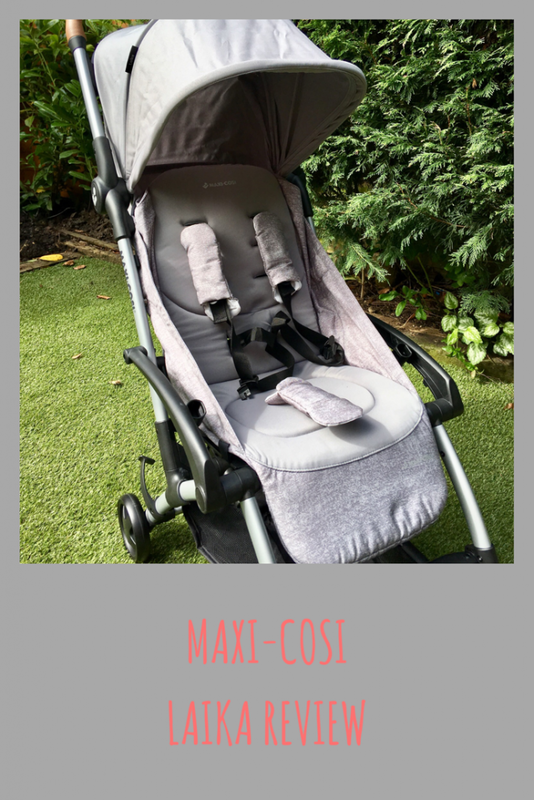 The pram is suitable from birth with a carrycot available to purchase separately and the chassis fits all Maxi-Cosi car seats making it a full travel system. 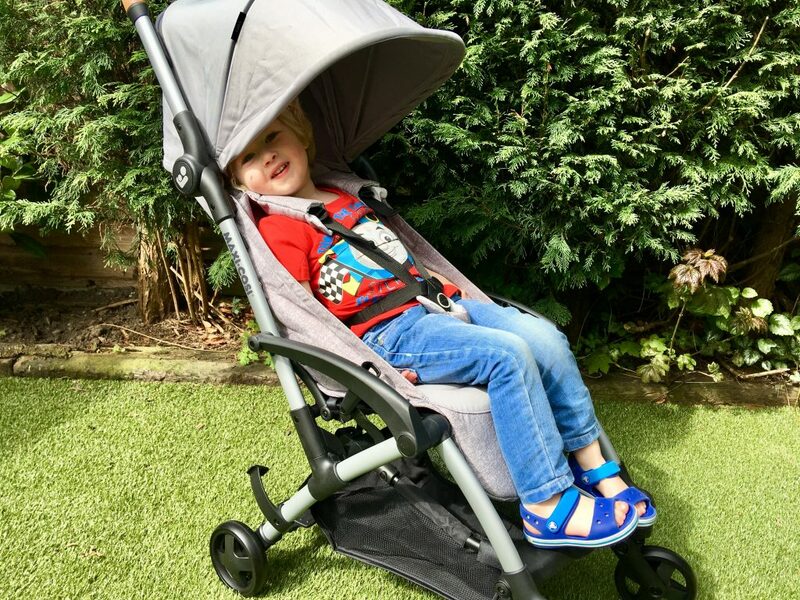 It’s also compatible with accessories such as a parasol to keep the sun off baby’s face and footmuffs to keep baby extra toasty in Winter. The Laika is available in a range of 4 stunning colours. We were sent the Nomad Grey which is just beautiful, it is perfectly complemented by the tan handles and bumper bar. It has a good size storage basket underneath the chassis. The Laika has an adjustable leg rest and fab padded seat for baby’s comfort. The chair can be adjusted for the seat to lie down or sit up. The canapoy is also really impressive with how much it extends to keep the baby in the shade. My favourite part about this pushchair is the lightness of it and the ease of putting it up and down. I have previously had a Silver Cross pram and a Britax pram and this is by far the easiest to manoeuvre and to put up. It’s really compact to store away when not using and there is a carry strap for using whilst out and about it needing to carry up stairs. I love how compact it folds up, such a great idea! Omg I so need this in my life for when this baby comes along! Love that it’s suitable from birth and will last, love how small it folds that is amazing!!!! Oh wow I love how compact it folds! That’s so handy, especially for travelling! It looks amazing! Definitely a good stroller to have for parents especially if you’re planning to travel. I like the design, it looks really comfy for the kids and it’s not that bulky either. I really love the colour of this and the tan handle bars. Great that it has a carry strap too! 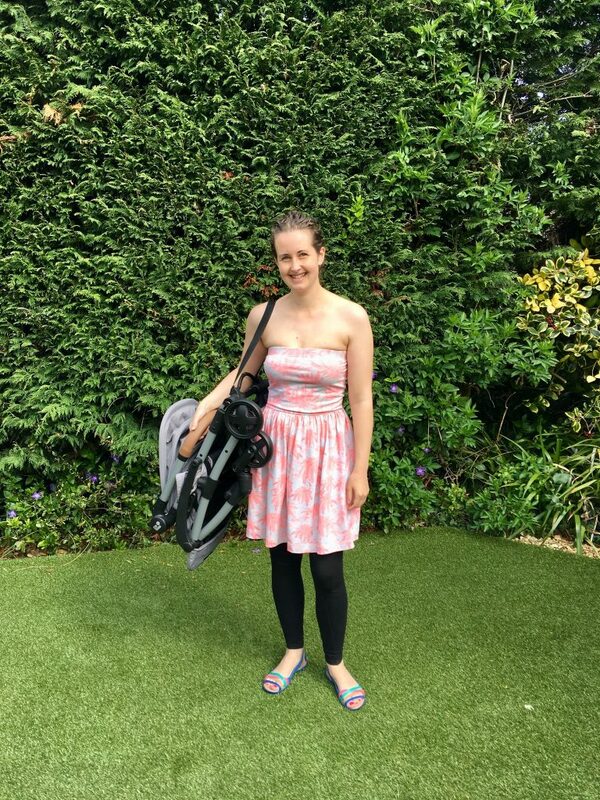 I love prams that fold up nice and compact- it looks amazing! 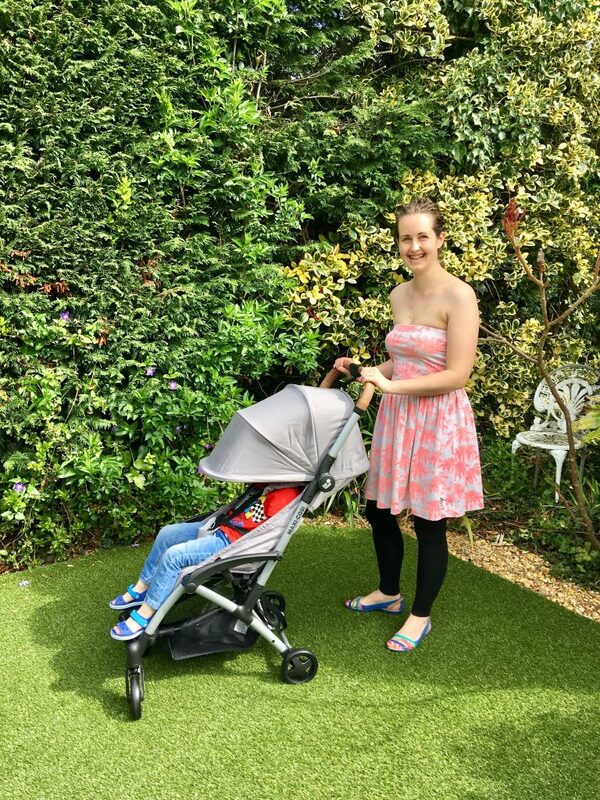 This looks like a really good quality pushchair, sturdy and comfortable – sounds like a great choice! This looks great, our lightweight pram has broken so we are looking for a new one. I like the carry strap, perfect for if you use public transport. It seems to be a very nice pram. I’m thinking to buy it for our summerholidays to Asia.